Cryptococcosis is an infectious disease caused by the encapsulated fungi Cryptococcus neoformans and Cryptococcus gattii. Once a relatively uncommon cause of human disease, cryptococcal infection can develop in apparently immunocompetent hosts and has emerged as an important opportunistic infection in humans over the past several decades as immunocompromised populations expand in the setting of HIV/AIDS, organ transplantation, malignancies, and treatment for other conditions. Clinical manifestations are myriad but pulmonary and central nervous system (CNS) infections are the most common. 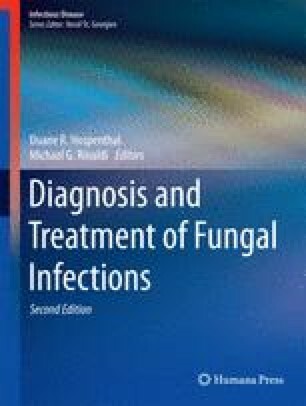 Improvements in diagnostic testing and standardized approaches to antifungal therapy, when available, have made considerable impact in the management of this infection. While the widespread use of highly active antiretroviral therapy (HAART) has improved the outcome of cryptococcosis in many HIV-infected patients, cryptococcosis remains an entity of considerable morbidity and mortality in many parts of the world, and restoration of host immunity can present management challenges that require individualized management. As immunocompromised populations continue to expand, it is likely that cryptococcosis will remain an important opportunistic fungal infection of humans requiring ongoing investigation.